Forget Gen Y, a new report published today by the House of Lords Committee on Public Service and Demographic Change warns that it’s our rapidly ageing population that will have a huge impact on society, work and public services. Predicting a 50 per cent rise in the number of those aged 65+ and a 100 per cent increase in those aged 85+ between 2010 and 2030, the report advocates enabling people to work for longer, many of whom are legally entitled to do, since the removal of a statutory retirement age in 2011. According to the report, “Ready for Aging?” working for longer would increase income from work, potentially increase savings, and reduce the time of dependence on those savings. To sustain a good quality of life over more years will require big changes in employment practices, pensions, health and social care services, yet for a major social change affecting everyone in England the Committee is concerned that the issue hadn’t been properly addressed by the Government. 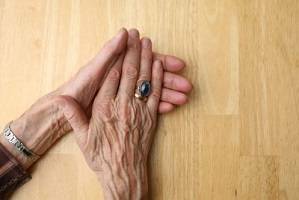 It calls on the Government to publish a White Paper before the next general election setting out how our society needs to prepare for a longer life and calls on all parties, in working on their manifestos for the next general election, to consider the wider implications of the ageing society . Commenting, Lord Filkin, Chairman of the Committee, said: “We need Government to support the choices each of us makes for our longer lives: people must be better informed and enabled to get a better idea of the income they may get in retirement from their pension savings; they should be able to work later if they wish to do so.